The federal EPA on Tuesday proposed another set of rules aimed at battling climate change. These would slash oil and gas sector emissions of methane, which often leaks from well pads, compressor stations, processing plants and other equipment used in production. Texas Republicans have a new U.S. Environmental Protection Agency proposal to decry. The federal agency on Tuesday proposed another set of rules aimed at battling climate change. These would slash emissions of methane, which often leaks from well pads, compressor stations, processing plants and other equipment used in oil and gas production. The proposal has major implications for Texas, the nation’s oil and gas king. And it comes just two weeks after the Obama administration finalized its Clean Power Plan directing states to limit the carbon that spews from power plants in the coming decades — landmark regulations that have rankled Texas’ Republican leadership. “The EPA continues to resort to unnecessary, burdensome regulation on business instead of allowing the free market to find efficiencies in operations,” Christi Craddick, a Republican on the Railroad Commission — the state's curiously named oil and gas regulator — said in a statement to The Texas Tribune. Gov. Greg Abbott, who has blasted the power plant regulations, did not respond to requests for comment. The proposal is part of the president’s broader plan to cut methane emissions by 40 to 45 percent of 2012 levels by 2025. 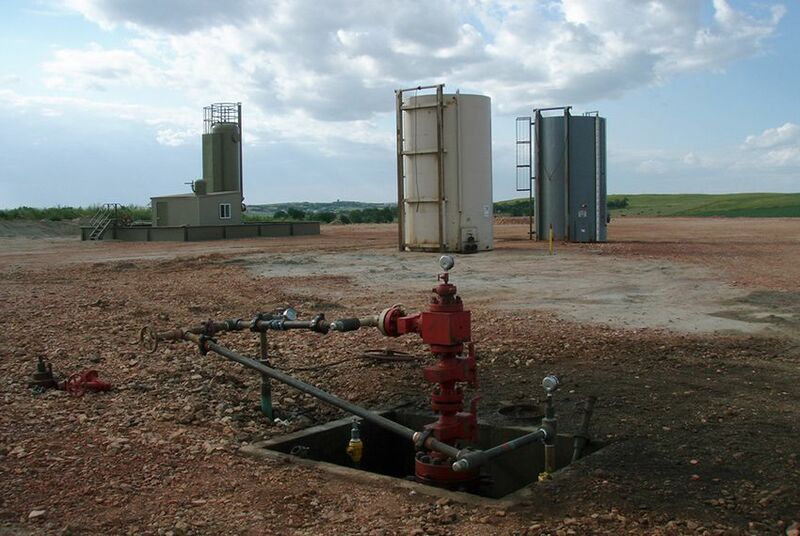 Among other provisions, the proposed regulations would require the industry to limit releases of methane and volatile organic compounds at new hydraulically fractured and refractured oil wells. They would also slash leaks “downstream” from production sites, including equipment that compresses and transports natural gas. The proposal would also force operators to capture methane that's otherwise burned off at existing wells in areas that have run afoul of federal limits of ozone. “Methane clearly is an air pollutant that endangers the public health and welfare,” Janet McCabe, who heads the agency’s Office of Air and Radiation, said Tuesday in a conference call with reporters. Taken together, the proposed rules could cut methane emissions by up to 30 percent in the coming decade, McCabe said. Other measures, including some that are voluntary, would help the administration reach its broader goal in the coming years. She did not provide details. So far, most U.S. efforts to fight climate change have focused on carbon dioxide, which accounts for the vast majority of greenhouse gases emitted in the country. But methane, the primary component of natural gas, is much better at trapping heat. One pound of methane has more than 20 times the impact on global warming than one pound of carbon dioxide over a 100-year period, scientists estimate. In this video, the Environmental Defense Fund used an infrared camera to document methane leaks from gathering facilities in North Texas' Barnett Shale and the EagleFord Shale in South Texas. With that in mind, environmental groups cheered the proposal. The petroleum industry pushed back, calling the rules costly and suggesting that companies already do plenty to curb methane releases. Operators say they have reason to take action on their own because leaks leave them with less natural gas to sell. Just as Texas leads the country in overall greenhouse gas emissions, it’s also a particularly large source for this potent warming gas. That’s in part because two major methane-emitting activities — agriculture and oil and gas drilling — are huge here. The state pumps about a third of the country's oil and a quarter of its natural gas. The federal agency says the regulations would prevent up to 400,000 tons of methane and 2,500 tons of hazardous air pollutants from wafting into the air by 2025. Complying will cost industry up to $330 million during that period, the agency says, but the regulations will yield up to $550 million in climate benefits.